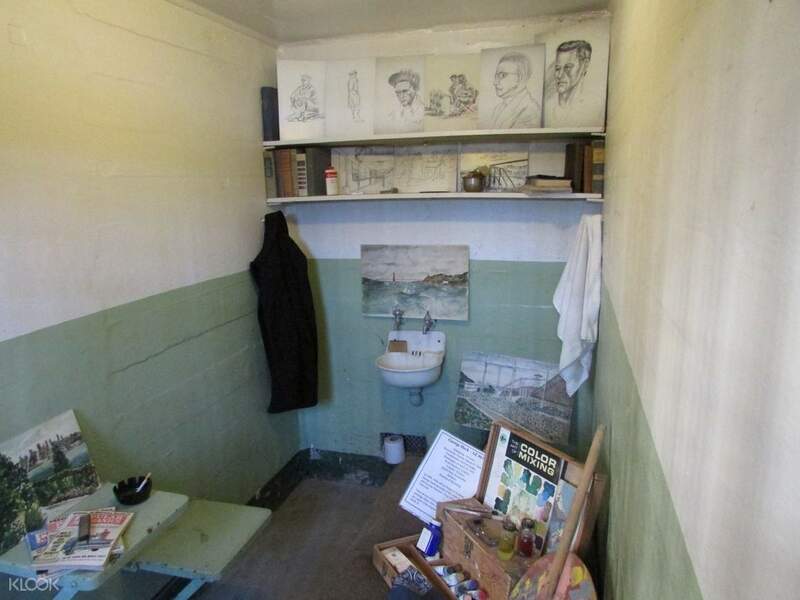 Take a trip to Alcatraz Island, once home to some of America's most notorious criminals. Today, the penitentiary has since been renovated and is now a must-see attraction when visiting San Francisco. 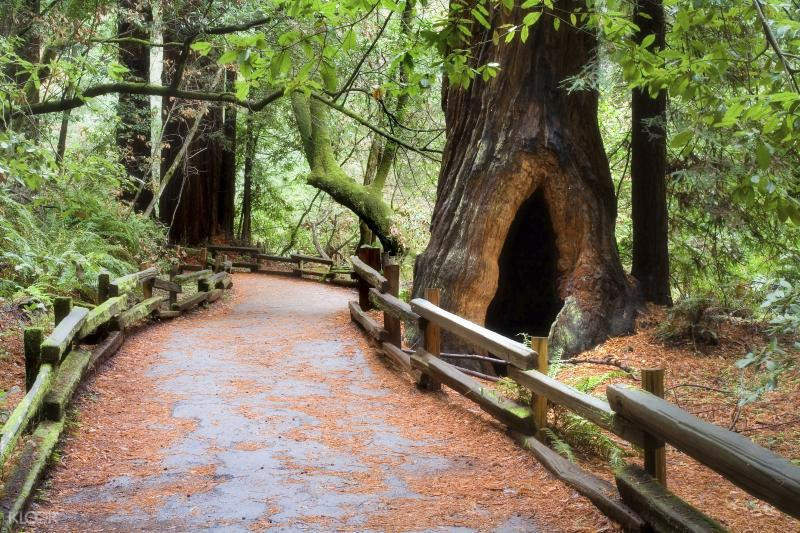 On this tour, you'll first take a 4-hour tour of Muir Woods. 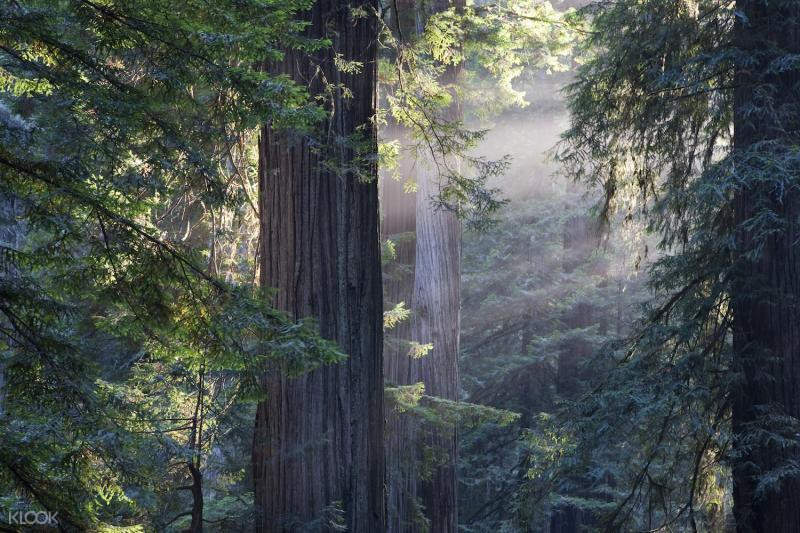 Stroll among some of the tallest redwood trees in the world and just wander through the misty paths. 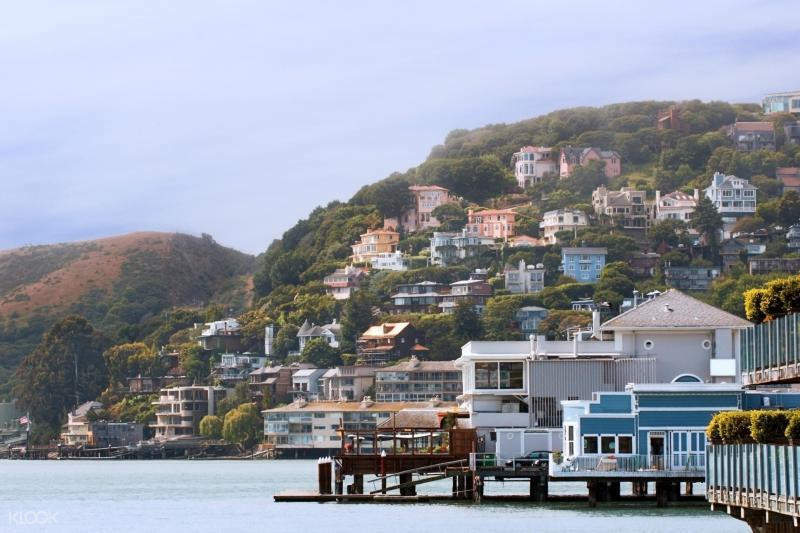 Next, visit the beautiful coastal town of Sausalito and be fascinated by this gorgeous Mediterranean-style village. Explore the town's quaint shops, art galleries, and waterfront restaurants and enjoy local shopping and eating. You'll board the ferry to Alcatraz Island and experience its chilling allure for yourself with the help of award-winning cellular audio tour. Learn about its historical significance before and after it was one of the world’s most legendary prisons. Explore the island on your own, then catch a ferry back to the meet up location at your own time! This combo day tour to Alcatraz Island, Muir Woods, and Sausalito will be fun day filled with an appreciation for history, nature, and beauty. It's something you should definitely try while in San Francisco. Booking was simple & straight forward via klook however, follow up email has to be sent to re-confirm for Alcatraz & tickets have to be collected at the pick up point specified in US. Final time allocated by the Operators for Alcatraz & Muir wood tour was pretty rush on the day! Booking was simple & straight forward via klook however, follow up email has to be sent to re-confirm for Alcatraz & tickets have to be collected at the pick up point specified in US. Final time allocated by the Operators for Alcatraz & Muir wood tour was pretty rush on the day! Alcatraz was really informative and interesting. That’s one itinerary not to be missed when you’re at San Fran. The Muir Wood tour is good. Driver is absolutely fabulous! Two thumbs up! Alcatraz was really informative and interesting. That’s one itinerary not to be missed when you’re at San Fran. The Muir Wood tour is good. Driver is absolutely fabulous! Two thumbs up! the audio tour at the Alcatraz Island is good, it made me wanted to watch again the movie: The Rock. I enjoyed the Muir Woods tour as well, felt so peaceful surrounded with the biggest and tallest Redwoods. just have to be reminded that we need to collect the voucher from the third party(Gray Line) then only can redeem your alcatraz tour ticket at the pier before departing to the island. the audio tour at the Alcatraz Island is good, it made me wanted to watch again the movie: The Rock. I enjoyed the Muir Woods tour as well, felt so peaceful surrounded with the biggest and tallest Redwoods. just have to be reminded that we need to collect the voucher from the third party(Gray Line) then only can redeem your alcatraz tour ticket at the pier before departing to the island. The third party agent only release the Alcatraz tickets a few days before the actual activity date, so there's no way to get it earlier even if you want to. The Alcatraz tour itself is good, especially the audio tour. If you have limited time, just do the audio tour. Muir Woods are also great. There's nothing more serene than walking into the quiet woods with dense giant tall trees all around you. The third party agent only release the Alcatraz tickets a few days before the actual activity date, so there's no way to get it earlier even if you want to. The Alcatraz tour itself is good, especially the audio tour. If you have limited time, just do the audio tour. Muir Woods are also great. There's nothing more serene than walking into the quiet woods with dense giant tall trees all around you. The Devil’s Island is not exciting as we do not know the American history. The Murr Wood is nice . We enjoy the fresh air and the greenery there. The Devil’s Island is not exciting as we do not know the American history. The Murr Wood is nice . We enjoy the fresh air and the greenery there. I went to the Gray Line office and it turned out that there was no reservation on my behalf and my friend was on this trip. The reason is because Klook did not give our name to Grayline for an Alcatraz Island reservation even though I confirmed it again on March 23. Finally we were forced not to join the tour that had been booked. I am DISAPPOINTED with this PROFESSIONAL Klook service. It was not easy for me to vacation in America and after arriving in San Francisco I could not visit Alcatraz Island which was the highlight of this city because of the carelessness of Klook. Please process the FULL REFUND for this trip because I did not enjoy the tour that was booked. I am waiting for the responsibility and good faith of Klook. Saya sudah pergi ke kantor Gray Line dan ternyata tidak ada reservasi atas nama saya dan kawan saya di trip ini. Alasannya karna pihak Klook tidak memberikan nama kami ke Grayline untuk reservasi Alcatraz Island padahal saya sudah konfirmasi ulang tgl 23 Maret. Akhirnya kami terpaksa tidak ikut tour yang sudah dibooking. Saya KECEWA dengan pelayanan Klook yang TIDAK PROFESIONAL seperti ini. Tidak mudah bagi saya untuk berlibur ke Amerika dan setelah tiba di San Fransisco tidak bisa mengunjungi Alcatraz Island yang menjadi highlight kota ini karena kecerobohan pihak Klook. Mohon proses FULL REFUND untuk trip ini karena saya sama sekali tidak menikmati tour yang sudah dibooking. Saya tunggu untuk pertanggungjawaban dan itikad baik dari pihak Klook.